These issues were echoed in the firm’s first-quarter results, released on April 15th. Revenues came in below expectations—13% lower than for the first quarter of 2018—largely as the result of lower trading revenues. The share price fell more than 3% and the earnings call was peppered with analysts asking questions about 1MDB. But criminal charges have been filed against the firm in Malaysia. 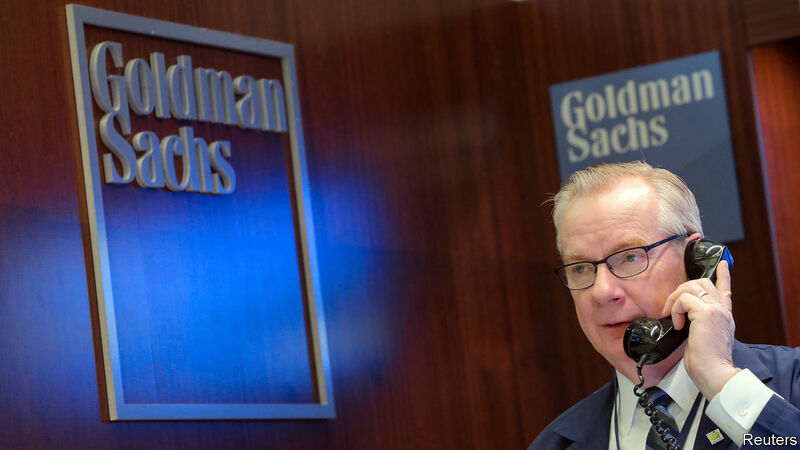 Though Goldman is contesting the case, it is spooking shareholders, who worry about both onerous fines and what it implies about oversight at the bank. 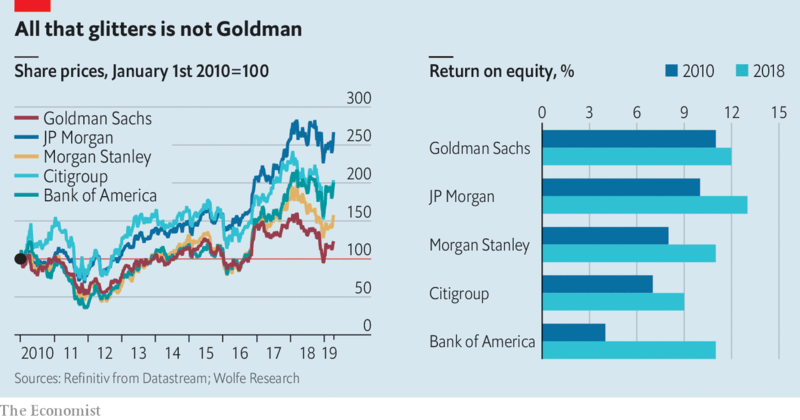 Since November its share price has under-performed an index of other bank stocks by 10.3 percentage points, suggesting that the scandal may have wiped as much as $9.1bn off its value.